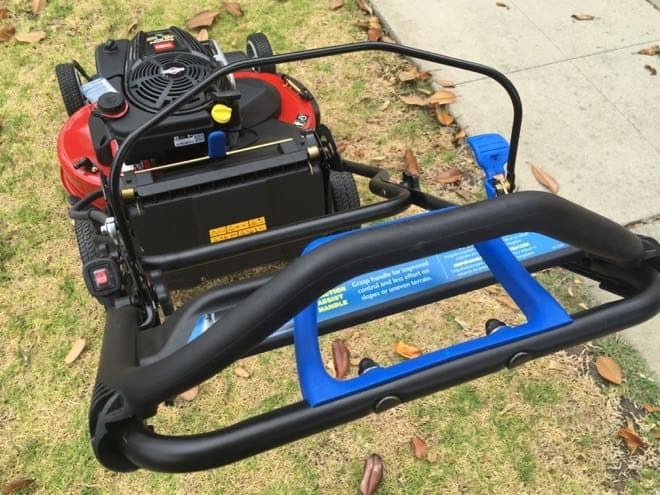 Instead of toiling behind a mower all weekend, you can shave up to 40% off your mowing time (compared to a standard 21″ mower) with the Toro Timemaster 30″ Walk-behind lawnmower. 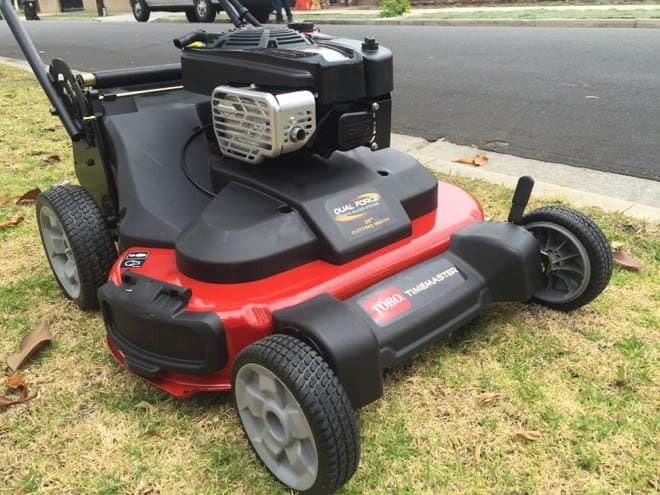 Reclaim your weekends with this twin-blade mower which features a reliable 190cc Briggs & Stratton engine and TimeMaster’s Personal Pace® automatic drive system to assist in maneuvering the mower across all types of terrain. Just press the top bar and the mower will walk with you at your speed. 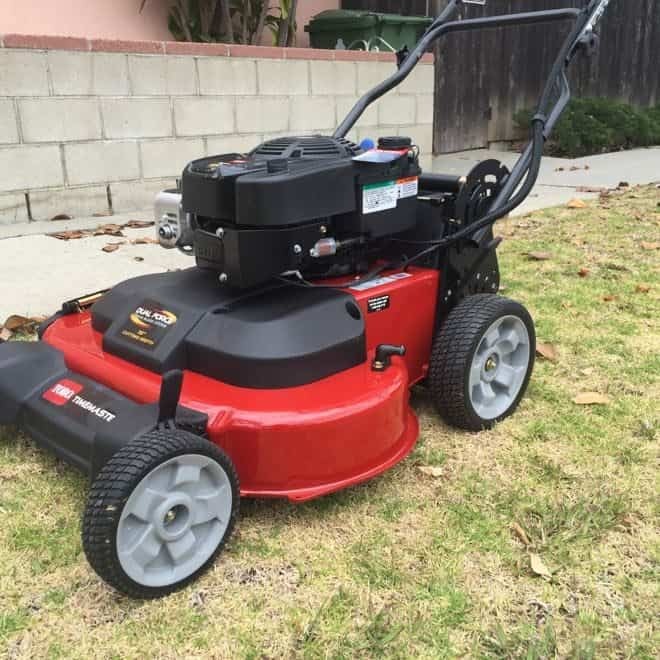 Here’s a quick video of the mower on startup. It should provide a good indication of sound level at idle and as the blades are engaged. 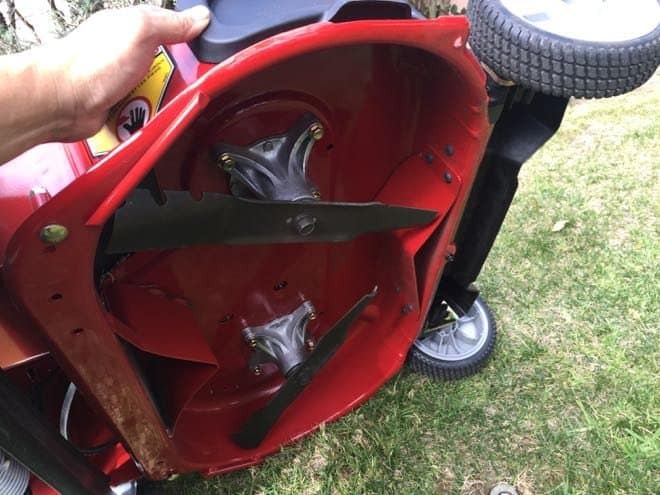 A larger sized mower can be tough to store, but the handle flips up so it can be stored flat against the wall. The deck can also be raised and lowered with easy adjustable handles. Fuel and oil are easy to add and the mower started for us on the first pull every time. 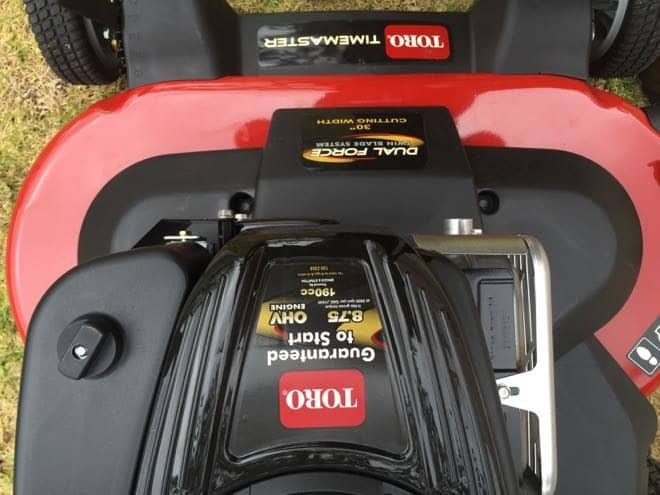 The Toro Timemaster comes with a 3 year warranty and it’s solid construction should last for years. 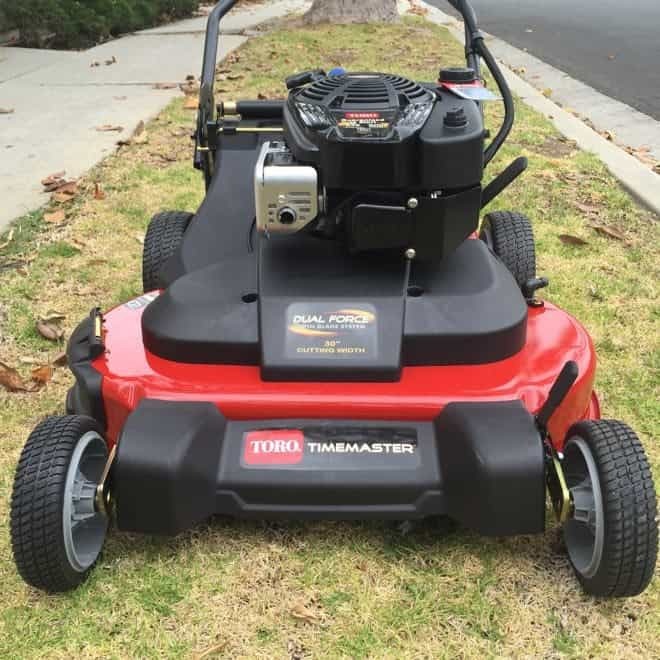 Learn more at the Toro Timemaster website.